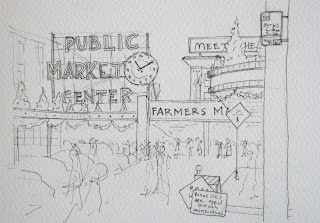 Cold day at the Market - but still a great place to sketch. 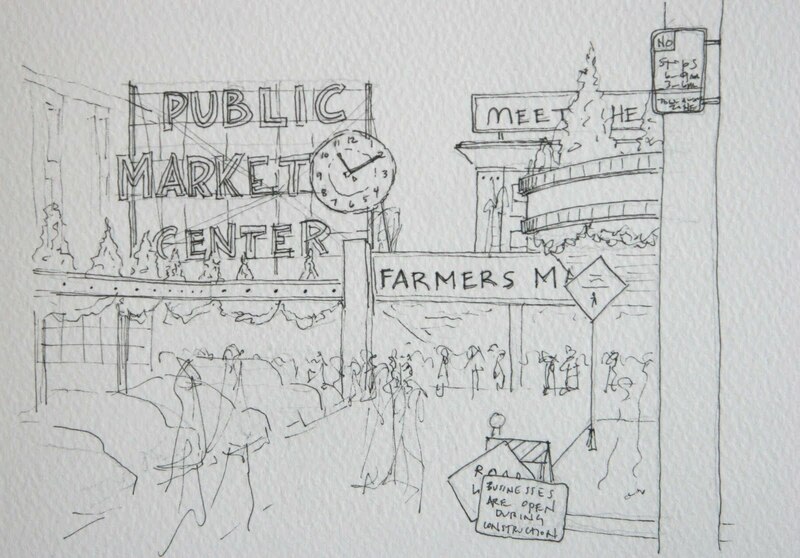 Decided to skip the watercolor addition on my line drawing and instead headed over to Beechers Cheese to warm up and try one of "Oprah's Favorite Things". Their Mac and Cheese did not disappoint! Lori, Great view. I almost packed it in too. It was really getting cold. I will have to try out that Mac and Cheese sounds great for a cold day.